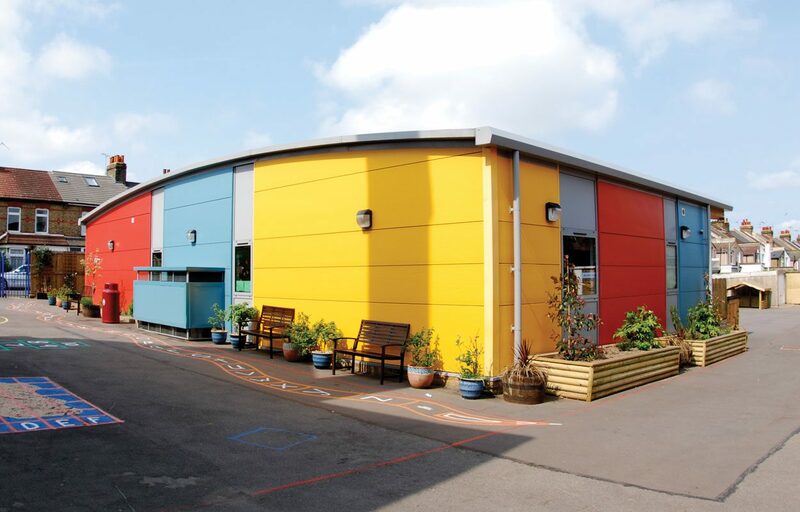 Colourful sustainable classroom building for Cecil Road Primary School, Kent. 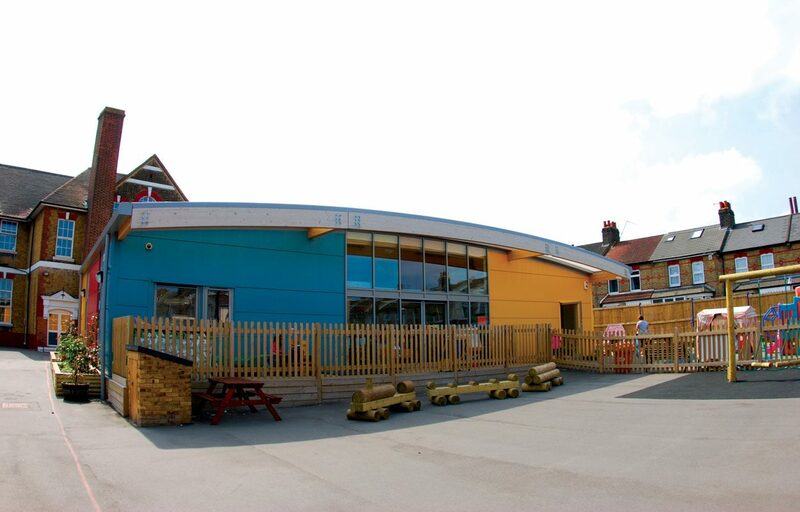 At Cecil Road Primary School in Gravesend we were delighted to be involved in the design and build of a new purpose built pre-school facility on an existing Victorian school site. 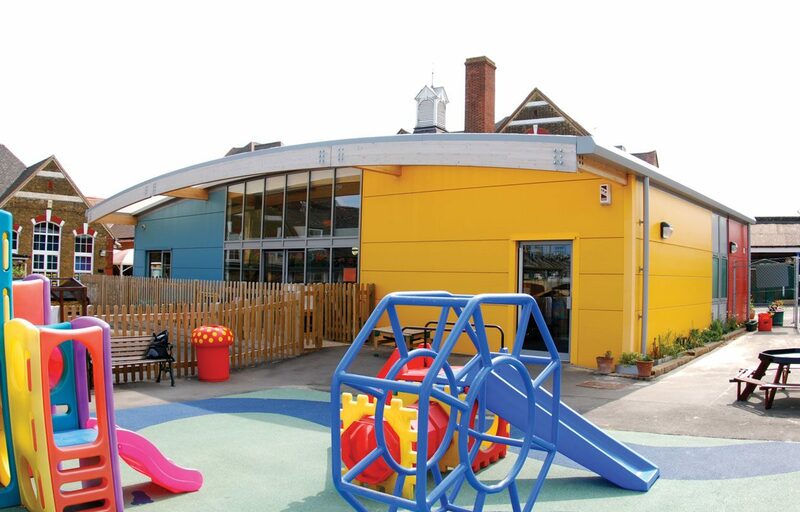 Working closely with the client, we created an airy, curved roof, sustainable building that boasts excellent environmental credentials. 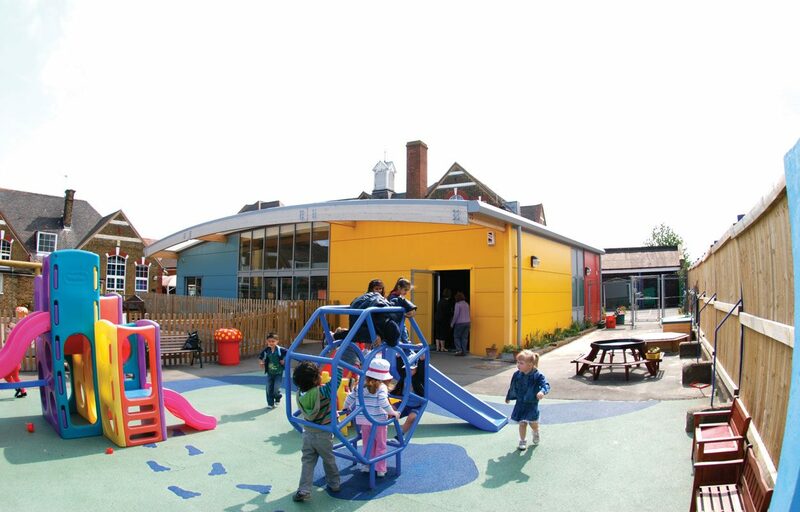 More than 170 square meters of internal space was separated to provide an office, kitchen, cloakroom and toilets as well as a spacious teaching area and integral covered outdoor play area.